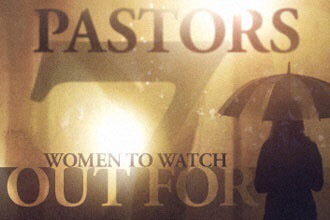 SEVEN Types Of Women Pastors Should Watch Out For In Ministry! Before there was a folk singer by that name, James Taylor was a professor of preaching. This veteran teacher of preachers held forth in classrooms at New Orleans Baptist Theological Seminary for many years. One day, in a room filled with young preacher boys, Dr. Taylor cautioned us about the temptations we would be facing. I raised my hand. “Dr. Taylor,” I said, “do you really believe that every one of us in this room will face this?” My mind was incapable of imagining a scenario in which a woman–any woman–would sit in a pastor’s office and try to seduce him. The writer of Proverbs tried to do the same thing Dr. Taylor did for us in seminary that day: prepare the young lad for what he would be facing down the road. That you may observe discretion, and your lips may reserve knowledge. For the lips of an adulteress drip honey, and smoother than oil is her speech; But in the end she is bitter as wormwood, sharp as a two-edged sword. Many pastors have paid the ultimate price for sexual sins. Here are 7 women, pastor should watch out for in your ministry. 1) The woman who wants to be your wife. She is unhappily married. Her husband has disappointed her in a hundred ways. Sitting in church week after week, it occurs to her that you are everything she has ever wanted in a husband. You are kind and gracious, thoughtful and spiritual. You love the Lord and are devoted to your family. You earn a good living and you do not drink or smoke or hang out in bars. So, she fixates on you. 2) The woman who wants to be your mother. She will smother you with attention, inundate you with goodies she cooked “just because I knew you liked these,” and make life miserable for you. If you never suffered from claustrophobia before, you do now. 3) The woman who wants to be your lover. 4) The woman who wants to be your best friend. She wants to confide in you as to who is doing what with whom in the church. She is a gossip. 5) The woman you want. There she is, the girl of your dreams. Maybe not the most beautiful woman in the world, but all things considered–her looks, her personality, her laughter, her spirituality, and a few other qualities that defy description–she is everything you ever wanted in a woman. 6) The woman who doesn’t know what she wants. In most cases, this mixed up lady has come to you for counsel, asking you to tell her what to do. You listen to her whole complex life story. 7) The woman you work most closely with in ministry. Once again, it’s a matter of focus. The minister of worship meets with the organist (or pianist or his personal assistant or whoever) on a regular basis to plan the services. The youth minister has frequent conferences with his secretary or a young woman in the church who assists in programming. 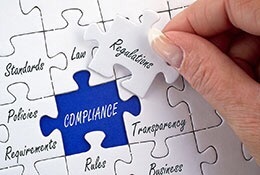 The pastor meets with his children’s director or ministry assistant or the head of the women’s ministry or the chair of his personnel or finance committee. The most important woman in the church to you the minister. Your wife must be your lover, your intimate friend, your best adviser and strongest counselor, and your “mother” (the one who cooks your favorite dishes and is always there for you).